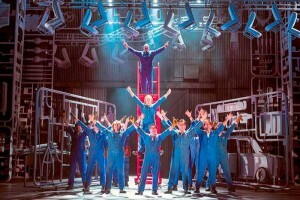 UK - When Stage Entertainments UK Ltd, the producers behind Made in Dagenham, moved swiftly into the Adelphi Theatre following the closure of The Bodyguard, they called upon Unusual Rigging to help them change seamlessly from one show to the other with the least amount of disruption. 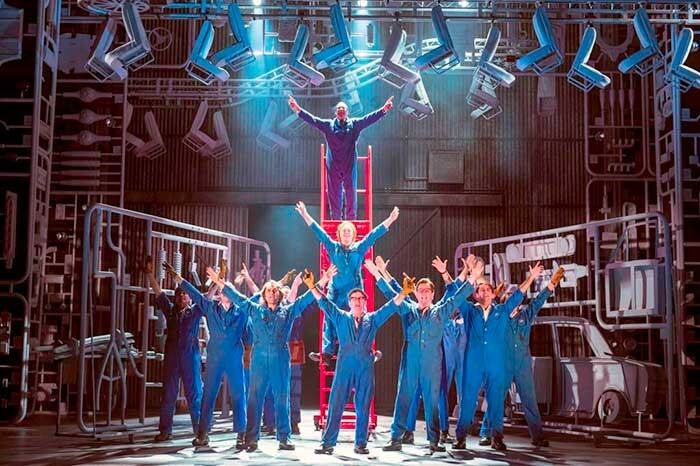 Production manager Matt Towell explained: "Made in Dagenham features a very clever set and a very different look to what you would normally expect from a West End musical. Given the very dissimilar nature of the scenic elements of the two shows, there was only a certain amount of equipment that could be re-used, so it was far from simply taking light, sound and set off the old system and re-hanging it. I needed to work with a team I both knew and trusted and I knew I’d have that in Unusual’s Jeremy Featherstone and his team." Jeremy commented: "Our knowledge of The Bodyguard paid dividends for this one. At times the grid resembled a large "Chinese puzzle" as hardware was removed, replaced or repositioned to accommodate the new show. However, our history with the previous show – and working again with Matt – meant any potential challenges were ironed out before we even got into the venue." As always a major get in begins with several weeks of pre-production, as Jeremy explained: "We work really closely with Matt, and the designer’s vision for the show is introduced to us at the model-viewing stage. By the time we arrive on site, we have detailed down to the last nut, bolt and shackle how every piece is to be hung. Early on the first day we carefully mark out the show and then the production engineer works with the grid team to brief them on how the equipment is to be fitted. In this way, any problems which might crop up can be dealt with before they have an impact on the tight production schedule. The fact that we put so much time into the pre-production minimises the chances of problems occurring." The main scenic elements supplied by Unusual for Made in Dagenham are two curved tracks which had to counterweight fly in exactly the correct positions both on/off and up/down stage with lighting flying within their curves. A series of custom made diverts, as always designed, fabricated and installed by Unusual, enabled these one tonne pieces to fly on the theatre’s own counterweight cradles without the need to install direct-fly winches. Not surprisingly though, the team did come up against some interesting challenges. The Adelphi is a classic West End theatre, squeezed into the available space without a single right angle or even a straight wall in the fly tower. The grid also only covers the central two-thirds of the stage, so any wide pieces always need secondary trussing and diverts to allow them to fly. Jeremy added "By West End standards, the Adelphi is actually fairly recent – dating from 1930 – but even so, modern shows weighing tens of tonnes are a far cry from what these buildings were designed for and a substantial ‘mother grid’ was required front of house to suspend the show proscenium while having a minimal effect on the Grade II listed art deco auditorium." 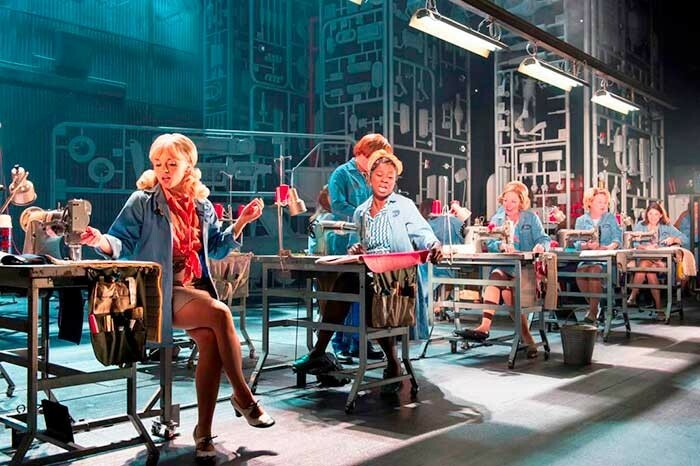 Matt concluded: "I cannot thank Unusual Rigging enough for their work on Made in Dagenham. Their commitment and attention to detail is second to none and not at any point did I question whether the job would be finished both to time and exact specification. I have and will continue to recommend them and will, where possible, use them on all my future projects."